Punchline is one of the the Villains for my upcoming Kitbash Games Supers Unlimited launch (January 2019 - stay tuned! ), and a sculpt I love. Punchline was a kids' clown/entertainer whose life was falling apart when he happened upon a pair of super-science gloves in an abandoned secret lair. From that moment on he decided the world would be his punch-bag, not the other way around. I originally conceived the character around ten years ago, and other than the re-design of his gloves (the originals were very baroque), not a great deal changed when I had more up to date art crafted for him - the core elements all remained the same (clown, power gloved, colour scheme). However, I decided I wasn't brave enough to try the yellow pin-stripes as shown on his updated trousers! This Kickstarter from Funky Skull Games is for a new gang for the Street Wars game. I can see uses not only for the intended game, but they also offer some excellent options to use as thugs etc. in a supers game. The campaign has 48-hour early birds available, adding an extra saving for backers over expected rrp. I am very happy to back this latest addition to Street Wars! Blue Scarab is another of the minis I have had sculpted for my upcoming range Supers Unlimited. 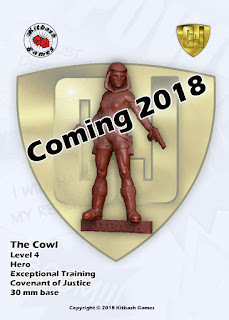 An out-and-put hero, she is based on a public-domain golden age character of yesteryear, and one I was really happy to bring via update into the twenty-first century. 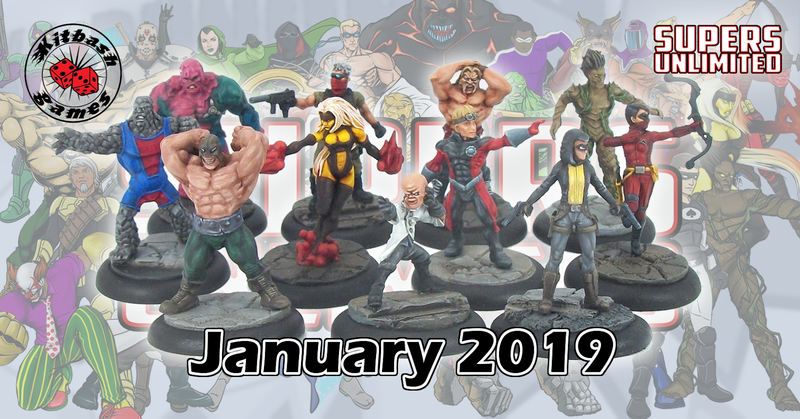 I [plan to launch the range in January, so I am working to try and make sure I have at least one painted copy of each mini, and Blue Scarab is the latest completed. I opted for a nice and simple blue-yellow colour scheme in keeping with the source character, accentuated by her blonde hair. The Blue Scarab was a cop wounded in the line of duty, who survives her grave injuries thanks to the intervention of a scientist friend using an experimental procedure. Wishing to do more than allowed in her job, Dani Garret donned cutting bio-mimetic armour (also developed by her friend under Project: Beetle), incorporating a lucky golden scarab, and a mask and became the super-strong Blue Scarab. The new Kitbash Games website has information about the Supers Unlimited launch in early 2019! Another Zomtober comes to an end, and it has been great seeing every participant's outputs. I was supposed to finish another Zombie this week than those I ended up painting, but I really wasn't feeling motivated on it, so I hurriedly prepped these three as an alternative with a plan to finish them all if possible, which I just about managed. I think all three Zombies are from Studio Miniatures. I chose them primarily because of the two half-body Zeds as offering the possibility of a quick win. The more-intact Zombie (although he is hand-less!) is intended to complete my brown-shirt wearing triad (although I think I have the base brown colour wrong on this one). I am pleased with doing six Zombies, although that pales compared to the dozens others have done! As usual, Zomtober has helped me paint other stuff and there is a chance I will get another mini finished for my Supers Unlimited range before the end of the month. My Zomtober 2018 week 3, and this one was a bit more of a rush compared to the other two. Not a panicked completion, however my weekend has been occupied with other hobby stuff, not leaving much time for painting. This Zombie is from Crocodile Games, and completes my 'grey suit triad' (as seen together in the bottom picture). Aesthetically, the feet are a bit on the big side (a funny contrast to the 'small' feet of the Cold War stuff). I don't imagine I will paint more than one Zombie for next weekend, but I hope to get some more painting done this week on my Kitbash Games stuff, with both Alpha Male and Soldier Hex underway. Amid Zomtober outputs, The Cowl adds to my burgeoning development of the Kitbash Games Supers Unlimited range, and even though I love them all, is probably one of my favourites. I hope to launch the range via crowd-funding in January 2019. The Cowl is the latest in a line of shadowy heroes who have used the power of a mystical cowl in the pursuit of good. The history and experience of each preceding Cowl imprint on the hood, offering guidance to the next wearer until their time finally comes to an end. The current Cowl focuses on street-level super-crime in Louisiana's Rivière Noire, while also serving as member of the Covenant of Justice. Averse to taking lives unless there is no other option, she primarily relies on special less-than-lethal ammunition for her trusty guns. Two weeks of Zomtober down, and two minis painted, without the usual mad-rush panic setting in! Like last week's Zombie, this one is part of my grey suit triad. This one is another Cold War Miniatures Zombie, however, the mini is intended to be a priest, but as the dog collar wasn't too clear i ended up painting him as a suited Zombie. While I was finishing this one off I started on the final triad Zombie, which I hope to finish next week. Painting all this grey has also helped with a non-Zomtober mini, as I managed to get some work done on one of my range of supers (The Cowl - I hope to finish her this month). My Zombie for Zomtober Week 1 is done! Thankfully this one wasn't too much of a challenge, so I was able to finish it in a couple of hours while dabbing bits of paint on a couple of other Zeds to get ahead of myself for this year. My 2018 painting plan is a trio of Zombies in grey suits (returning to my triad approach I used in previous years), plus a Zombie Rabbi. I expect next week's mini to be another grey suit Zombie. Zomtober VII - Son of Zomtober! The seventh annual Zomtober is upon us - that time of year when bloggers like my buddies Rob (click here for his blog), Simon (click for his blog here), Kieron (click for his blog here) and myself commit to getting some more Zeds or Survivors painted. One can never have enough dead lead! 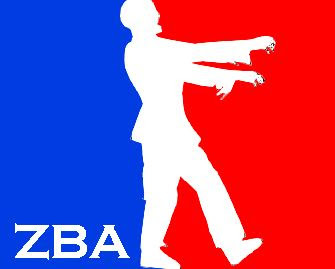 The Zomtober rules are simple. 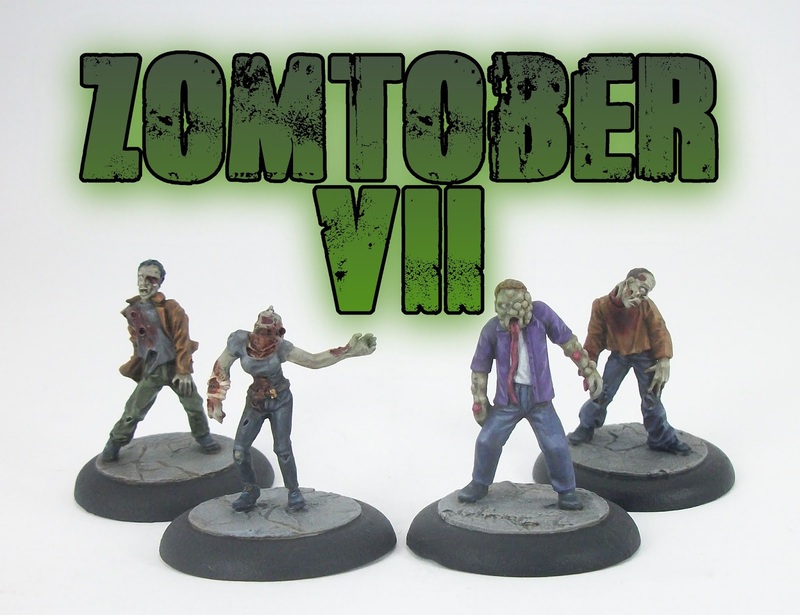 To take part you just need to paint or finish painting one Zombie or Survivor (or more!) each week, in any scale you like, posting it to your blog by that week's Sunday (we use Sunday's as the end of each Zomtober week). 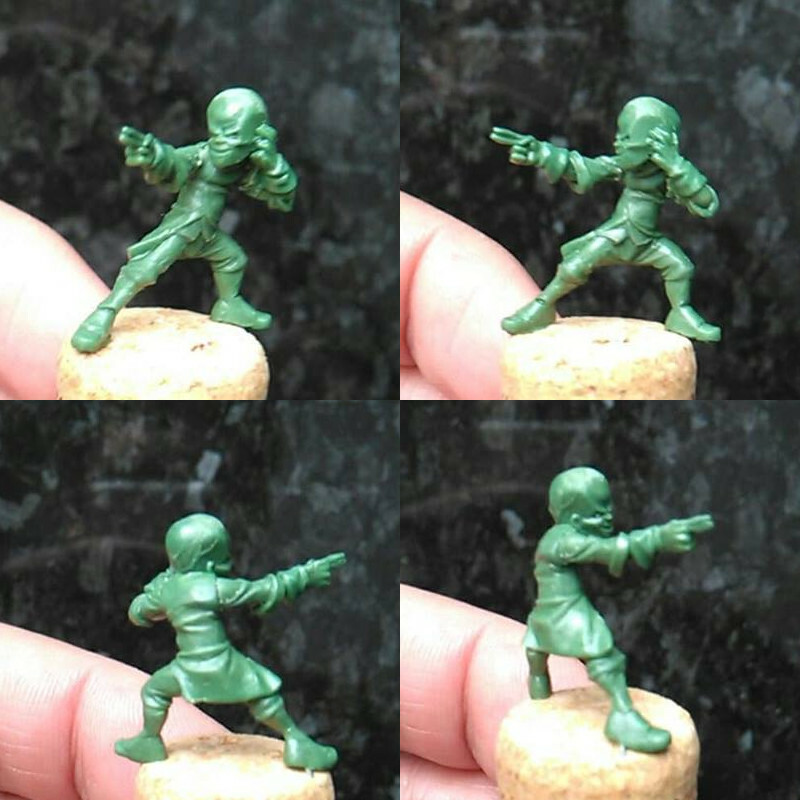 These can be minis you started and abandoned, or a brand new project - that is up to you! What that means posting one or more newly painted/finally finished Zombie or Survivor minis each week on or before the 7th, 14th, 21st and 28th of October 2018. Anyone commenting on this post and who participates will get added to the blog list below (and feel free to do something similar on your own blogs - as the word spreads, more and more bloggers can be involved!). In previous years we have had over 20 bloggers involved, and it would be great to beat that this year. So without further ado, welcome all to this year's Zomtober! 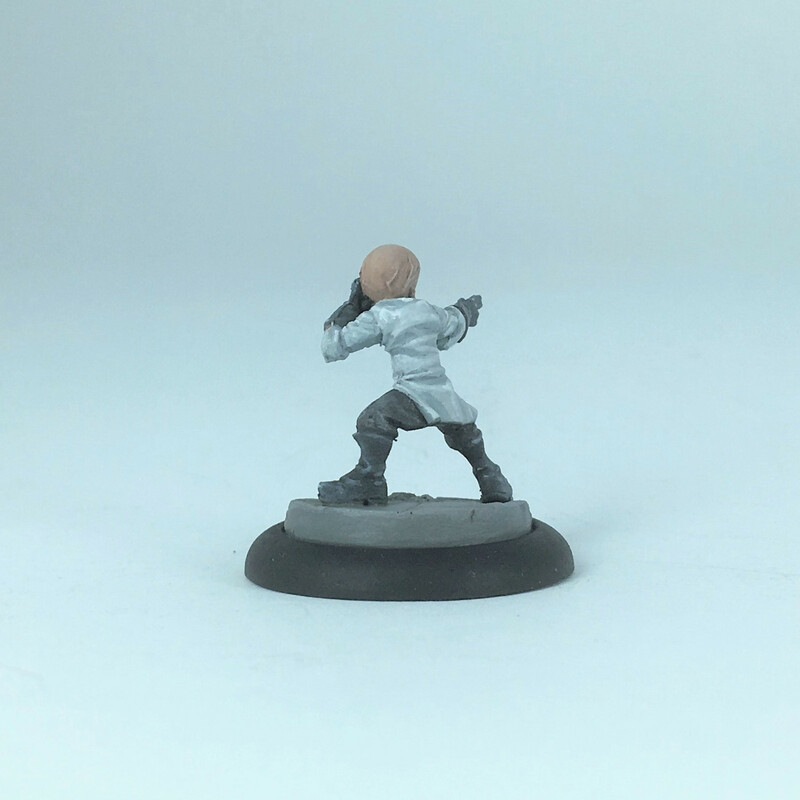 Mayhem is another mini for my upcoming range of supers characters from Kitbash Games. Like Granite and Immolator, he was sculpted by Sergio Alonso. Mayhem is a washed-up pro-wrestler turned supervillain due to the machinations of a trickster god. With newly-acquired super-strength, he and his tag team partner Alpha Male have begun to wreak havoc on Empire City. 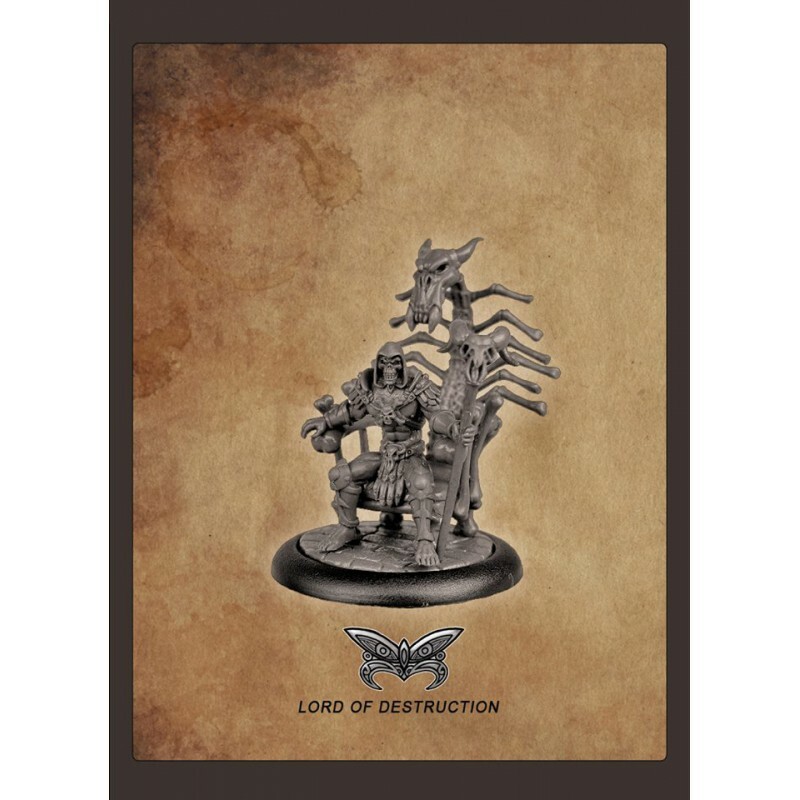 Mayhem revels in destruction and certainly lives up to his name! As more minis get ready for the table I will start to reveal more about the game rules for this range. Next in the queue is Alpha Male, then on to The Cowl, Soldier Hex and The Arrow! A bit of a change of pace with these Mousers - I wanted something(s) that could be painted up quickly and removed from the dread painting queue. These little minis were the ideal solution and were done in an evening, with a mix of dry-brushing and layering. Blackthorn was finished a couple of days ago and follows hot on the heels of Tox and Big Brain, and marks my third painted Kitbash Games mini this month. Like Big Brain, Blackthorn is an unethical scientist now turned supervillain after self-experimentation, although his goals are far different than his diminutive ally, as he follows a secret agenda to create a new dominant race of human-plant hybrids! Blackthorn was a pleasure to paint, especially after going a few months with doing no painting. I opted for a simple colour scheme, with a bit of dry-brushing, a bit of blending here and there, some picking out edge highlights and then washes. He was done a lot more quickly than I really expected. Hopefully the momentum can continue! Tox marks the fourth of my Kitbash Games models that I have painted, and my second this month. I hope I am finally breaking the painting inertia that had developed over the past 6 months! Tox is a former scientist who was disfigured and transformed by sabotage in the lab he shared. His intellect is not what it once was and no he roams Empire City's alleys and sewers, seeking to avoid people as he pieces his memories back together. I am really happy with the mini, and I think the sculptor did a cracking job picking out the chemical oozes across his hulking body. Look out for Tox and friends when the range launches later this year! Apologies for the dearth of posts lately - I have been busy though, I promise! 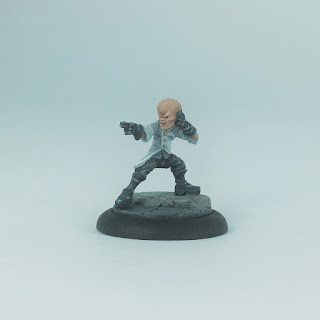 Big Brain is the first mini I have painted in something like 6 months and he will be part of the launch line-up for my Supers Unlimited range from Kitbash Games! An over-zealous scientist transformed by an incident he caused, Big Brain has become a super-villain in the ranks of the Shadow Axis, a secret society of fellow super-criminals. I hope to get back into regular painting now that a lot of the lead-in work for developing the range is taken care of. And please forgive the picture quality, I still need to make changes to my set-up for pictures. 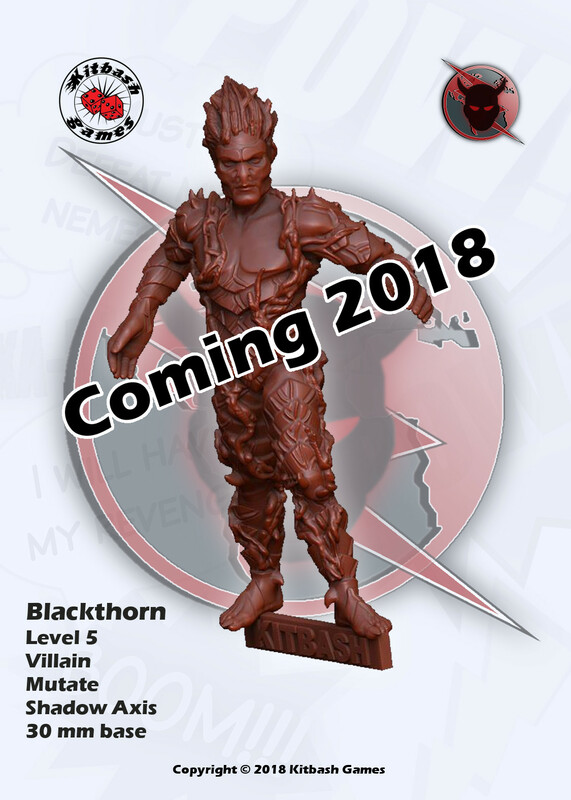 While the first batch of masters are cast up for the Kitbash Games miniatures line launch later this year, work is underway on minis for batch 2 of casts, including this latest Villain - Blackthorn! 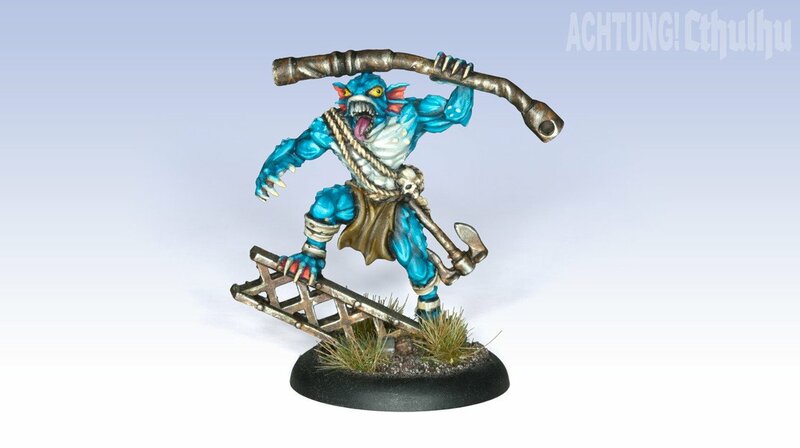 This sneak peek of Blackthorn is from the Kitbash Games blog (click for link). The first batch of Supers Unlimited characters have now been sent off to the caster for mastering, and Big Brain is among them. More characters are being sculpted and soon we will get some studio paint-jobs done. Also, don't forget the Kitbash Games contest post here (click for link)! The Kitbash blog has 20 Followers so far, another 5 and the contest will be triggered! 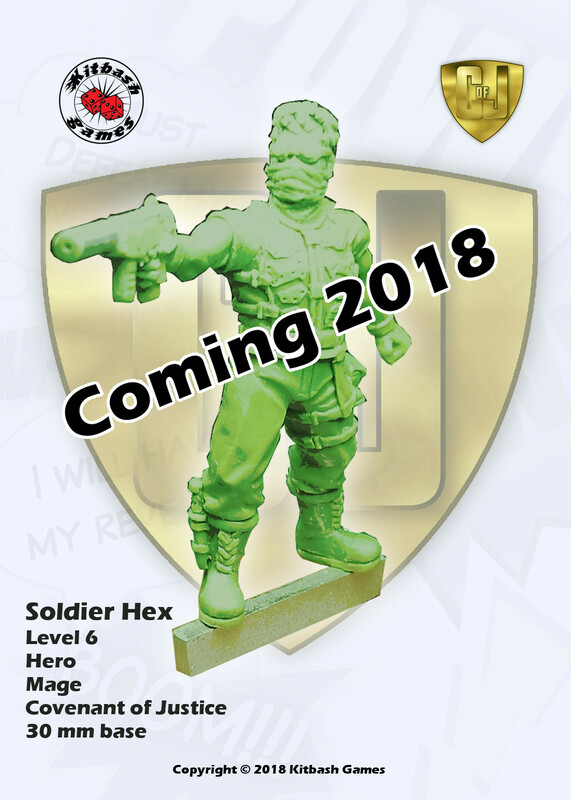 As things continue to gear up for launch later 2018/early 2019, time for a sneak peak of the Soldier Hex green for Supers Unlimited! Contest Time on Kitbash Games! Over on the Kitbash Games blog I am running a free-to-enter contest to win something! Or even one of up to three somethings! This one has super-heroes. I love super-heroes in case no one noticed! It is also done in a chibi style, and I like that a lot too! Finally it is a board game, and I really like those! 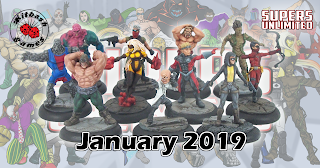 There are a couple of super-hero board game Kickstarters live right now, and one is a dollar drawing juggernaut called Batman, while Alphas is something much more indy and markedly different to that (yes, I am backing both!). Alphas is funded and has 10 days to go, and if there is anyone else out there who likes super-heroes, board games and the chibi style I just wanted to flag it up! 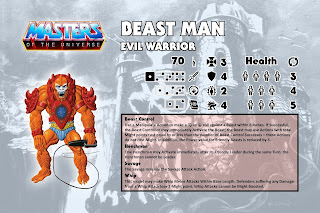 Beast Man joins the ranks of Skeletor's Evil Warriors as my Masters of the Universe Project makes slow but fairly steady progress, and means I have painted two minis for He-Month so far. 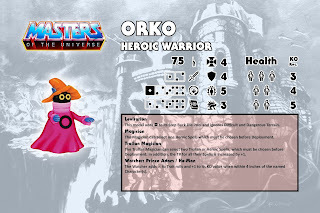 With two Evil Warriors now finished, I think Orko is due for some reinforcements soon! In-keeping with many Masters of the Universe characters, Beast Man has a typically bonkers colour scheme, including an orange-blue discord and red side by side with orange - if, for example, I was painting a random generic superhero or space-farer mini they are not colour combinations I would consider! 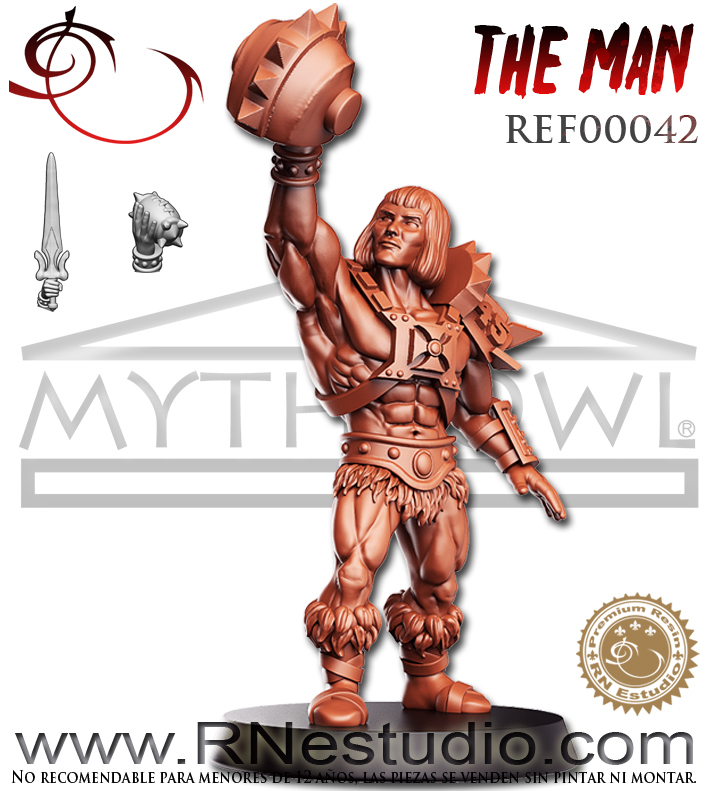 I have tried to remain fairly faithful to colour scheme depicted in the 1980's Masters of the Universe cartoon as that is clearly the primary design inspiration for the sculpt (available from Qminis' Etsy store - click for link), although I tried to differentiate the two types areas of red a little (torso piece in contrast to the boots and arm bands), and the two areas of blue (fur trunks and the amulet thing-y). While not my best painting, I did enjoy being able to finish the mini in an afternoon, and overall I am pleased with how it turned out. 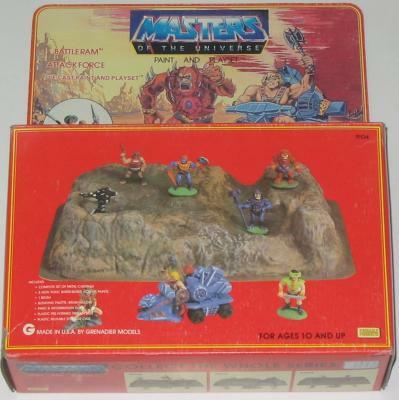 The bottom image is Beast Man's game card for the personal set of Masters of the Universe skirmish rules. The first draft is complete and I hope to get some games in with the rules in the next few weeks. 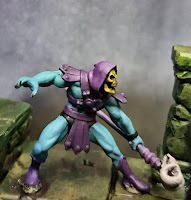 Skeletor is the second painted mini for my Masters of the Universe Project (after Orko), and my first for He-Month. My order from Qminis (click for link to Qminis Etsy store) arrived mid-week, but then I was hit by a heavy cold, so I didn't feel up to prepping minis until yesterday. I put together Skeletor, Man-At-Arms, Beastman and my four Hover Robot proxies, then tackled painting Skeletor today. The paint scheme is super-simple, mostly influenced by the original toy and the 1983 cartoon, although I painted the shaft of Skeletor's Havoc Staff in near black to break things up a little. 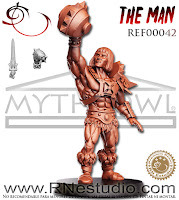 The Qminis sculpts are clearly based primarily on the 1980's Filmation He-Man and the Masters of the Universe cartoon rather than the original figure line, and this keeps them mostly nice and straightforward to paint (not that the action figures were especially fussy in their designs). I think Skeletor has a really visually distinctive design even over thirty five years on, stronger than his rivals Hordak and especially King Hiss. And I am glad the mini kept to the classic elements. 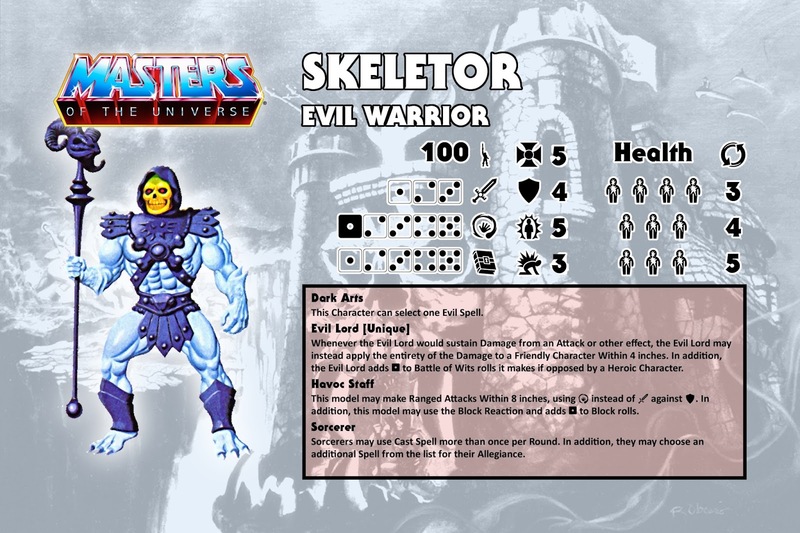 I have nearly finished my first draft rules for Masters of the Universe gaming, and the bottom is the game card I have done for Skeletor. He-Man will be a better warrior, while Skeletor is more crafty and cunning, and of course is a master sorcerer. Finally, if you are looking for MotU minis and proxies, I did a post earlier in the week giving a list of options (click for link). 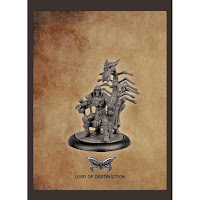 While painting and writing continues for He-Month, I thought it an opportune moment to round up some useful links for anyone looking for suitable minis - some of the examples may need a bit of conversion work to get them 'right'. None of the pictures below are my painted minis, they are form the various manufacturers. A fairly wide range of licensed Masters of the Universe minis from back in the 1980's, still to be found via Ebay, trading, and good fortune! By the Power of Grayskull - He-Month! With thanks for the inspiration to Carrion Crow and Rantings from under the Wargames table (click for links), and apologies to both for nicking the He-Month tag, Kieron of Cheaphammer (click for link) and myself are launching into He-Month. Each of us is tackling He-Month in a slightly different way, but safe to say there will be painted minis and there will be rules for gaming. I started writing a rules draft for personal use last month when I had some days off, and made some good headway. 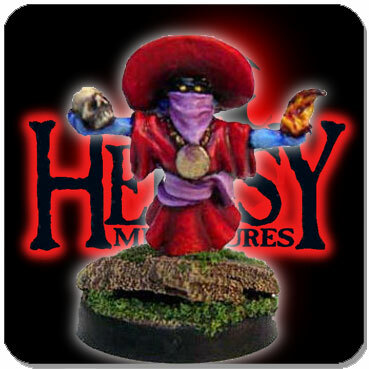 That in turn spurred me to paint my Orko proxy and suffice it to say orders have been placed to fine purveyors of minis across the interwebz. I hope to have both a rule-set and at least four more minis painted by month's end, so expect the blog to have a very Eternia-centric focus for the next few weeks. You can see a sample game card above for what I am working on. Stay tuned to see how He-Month unfolds!